If, like me, you're currently obsessed with all things Black Panther, and want MORE dammit! - then you're in luck. 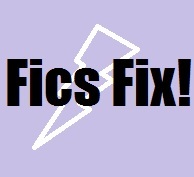 This week's fic is, indeed, more from the characters from Black Panther - and, more specifically, Shuri. She's smart, fun, and as keen to wind her brother, T'Challa, up, as any other little sister would be. So this is what happens - in the fic-author's imagination - when the amazing Shuri meets the amazingly arrogant Tony Stark. And no, she doesn't let him get away with any sh**! If you liked this post, I'd be thrilled if you shared it! :) See you next week for more fanfiction! Okay okay okay so did I tell you my plan for an awesome fic where Shuri and M'Baku have to work together to rebuild a Wakanda that's not so dependent on vibranium? I HAVE BEEN THINKING ABOUT IT A LOT. They would build grudging respect! Eventually they would become the best of friends and Shuri would have a second (honorary) big brother. It would be magical.